10 awards were given at the Civil Society Awareness Awards in fields of human rights, art and culture, education, women, social responsibility, aid, animal rights, environment, science and technology, youth and sports. 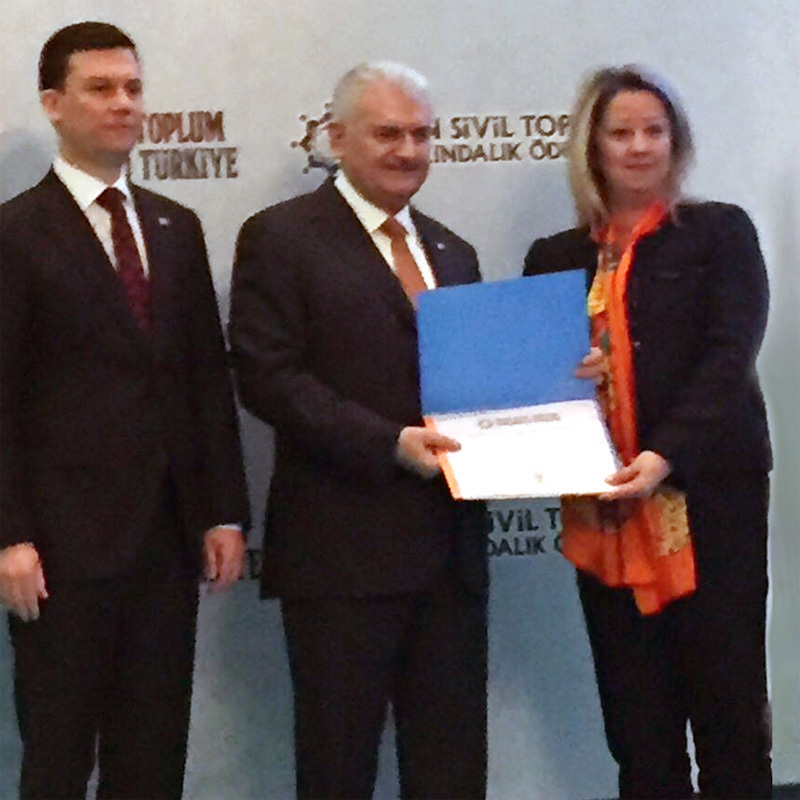 “Girls Coding”, one of RobinCode.org’s projects for early age education in computer science, was awarded with the Science and Technology award at the Civil Society Awareness Awards by the Prime Minister of Turkey, Binali Yıldırım. RobinCode.org’s award-winning project took place during June, 2016 and aimed to accelerate digital transformation in the country and raising a generation with more female engineers. A total of 100 advantageous and disadvantaged girls aged 9-11 years, consisting of 4 groups of 25 persons participated in the event at the General Electric Turkey Innovation Center.